Making a yeast starter helps to ensure a vigorous ferment right off the bat. Use this convenient Erlenymeyer Flask to make it even easier! 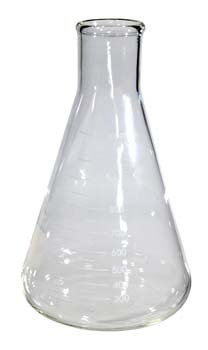 Air bubbles and variations can be seen in these "student grade" flasks. Student grade flasks are great for making yeast starters as the cost is reasonable for the craft brewer, and the flask is well suited for the job.